Fully configurable 26 way consumer unit. Supplied with three neutral bars, the Wylex NMDRS26SSLHI high integrity consumer unit offers complete flexibility of configuration and provides up to 10 RCBO protected ways for your mission critical circuits. The top row gives 12 usable ways - split between the 80A RCD and 100A main switch (in any configuration), whilst the bottom row gives 14 usable ways on another 80A RCD. The NMDRS26SSLHI is constructed from heavy gauge steel and rust protected giving excellent resilience to both weathering and mechanical damage. Incorporated in the board are multi-terminal dual earth and neutral bars. 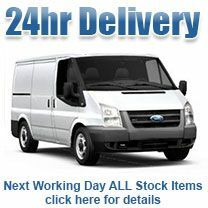 They are designed for ease of installation and have ample wiring space. "One of our most popular consumer units - the NMDRS26SSLHI provides the perfect balance between 17th edition compliance, circuit separation and sensible cost. Very few projects can stomach the cost of a full RCBO board and the NMDRS26SSLHI answers that problem, offering both MCB and RCBO protection, obviating the potential problem of nuisance tripping on your critical circuits and with essentially, three banks of circuits circuit design is very easy. 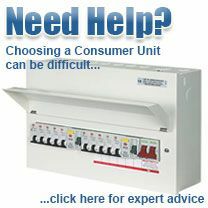 Superb build quality - as you would expect from Wylex - this is an excellent consumer unit for modern circuit protection."